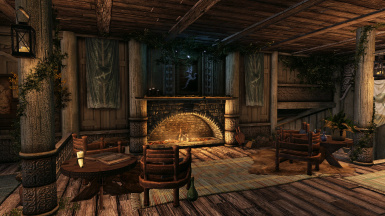 Elysium Estate is a mid-sized, lore friendly home located near Whiterun for you, or with family and followers. 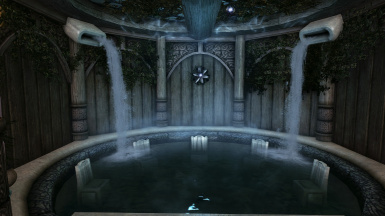 Full of foliage, fountains, features to customize, optional displays, crafting and plenty more. Now includes voiced introductory quest! 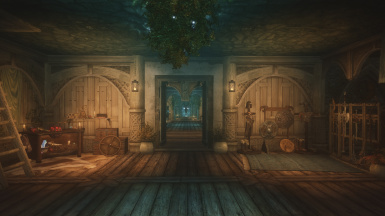 [ ] You may upload language translations of Elysium Estate without asking. [! ] 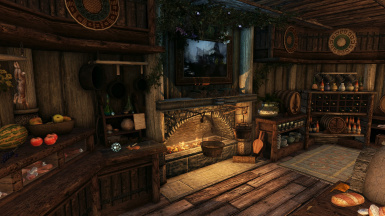 You may work on patches for compatibility with other mods for Elysium Estate but please ask before uploading. 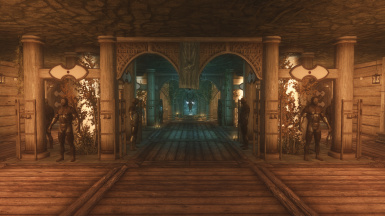 [X] Please do not copy parts of Elysium Estate and upload them as your own mod. 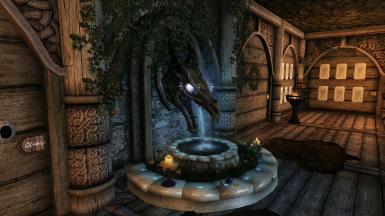 Nexus sites for hosting and supporting the Skyrim mod community. My husband for all your support. My awesome supporters on the Nexus! 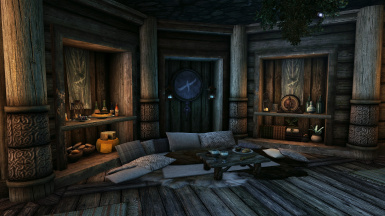 Other inspirations include Darkfox127, Rayek, Elianora, and Lakeside Hideaway. Please message me if you notice an error or if I left anyone out. 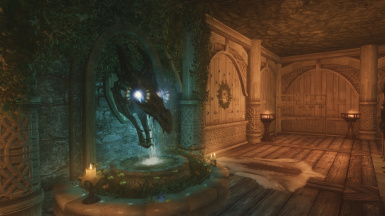 Click here to visit Elysium Estate for Oldrim. No Xbox One or PS4 version available. 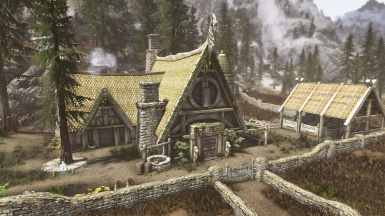 Elysium Estate 5.0 is a mid-sized, lore friendly home located near Whiterun for you, or with family and followers. 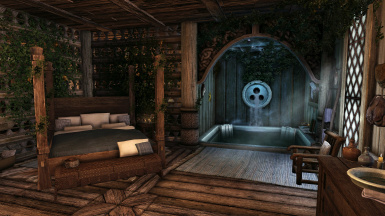 Full of foliage, fountains, features to customize, optional displays, crafting and plenty more. Now includes voiced introductory quest! You can find an informative PDF guide for version 5.0 in the Files section. Below is supplementary information. 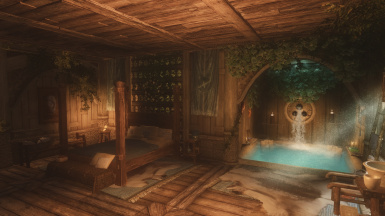 Hearthfire multiple adoptions SSE - This mod allows you to move in your spouse and kids. 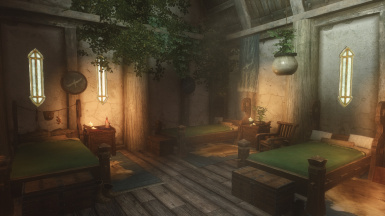 Download this mod and install along with Elysium Estate. 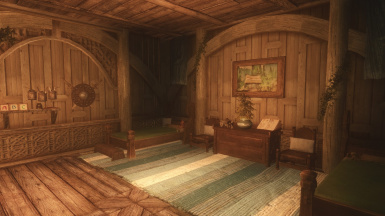 Enter the interior of Elysium Estate, and use the Book of Elysium - Interior to enable the kids room (replaces large followers room). 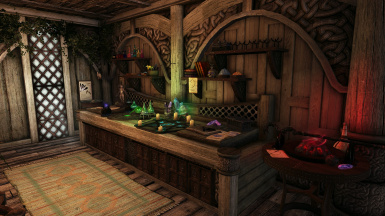 Cast the spell "Bless Home". Now adopt a kid and tell them to move into your new home. 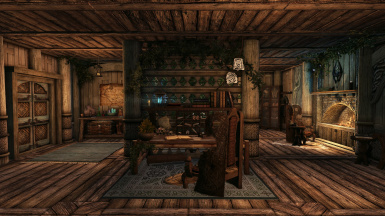 My Home Is Your Home SSE - MHIYH lets you move your followers into Elysium Estate. 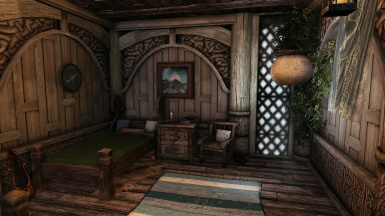 You can assign them work and sleep areas. Can work alongside spouse/kids mods. 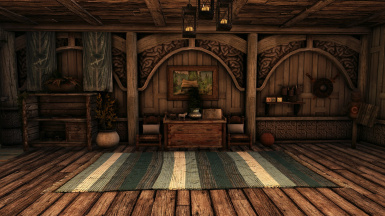 Multiple Floors Sandboxing SSE - This mod allows your followers to move more freely around home interiors. Highly recommended. I don’t offer automatic storage in Elysium. I have never found a scripted version I cared for, don’t like the complication of bugs and losing items, and know that automatic storage isn’t for everyone. 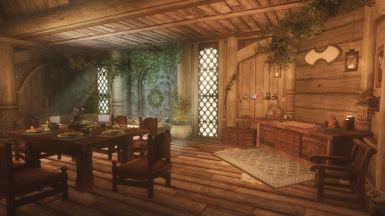 However, there are some mods below that work with Elysium Estate and will give you automatic storage…it just takes a bit of setup. 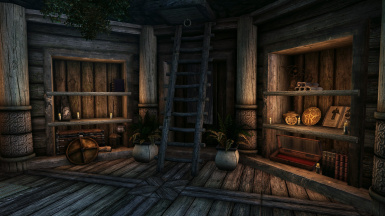 I personally use Automatic Item Storage. Please note if I don't mention a mod here, it still may or may not be compatible...but I have personally tested the below mods. 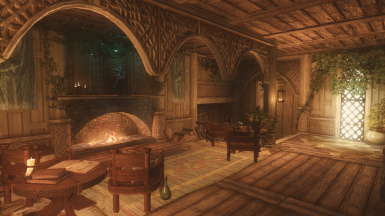 If I don't list the mod you are concerned about, try loading Elysium Estate before or after the mod. 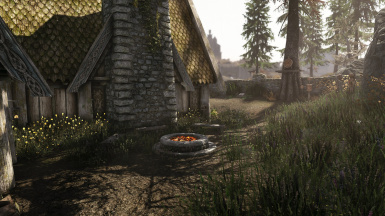 Noble Skyrim Mod texture overhaul darkens most of Skyrim, including Elysium Estate. 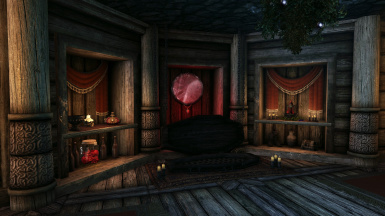 Elysium Estate interiors are too dark when using Noble Skyrim mod. 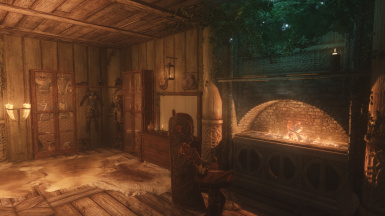 The People of Skyrim Complete SSE - Load Elysium Estate AFTER this mod. 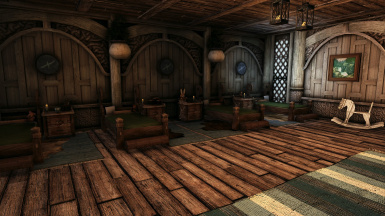 Has a few landscape lines but nothing worth me patching. (Note that loading ElysiumEstate.esp before TPOS can cause crashes and major landscape issues). 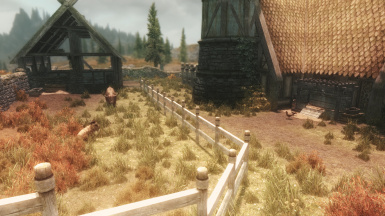 Whiterun Valley SSE - Load Elysium Estate AFTER this mod. 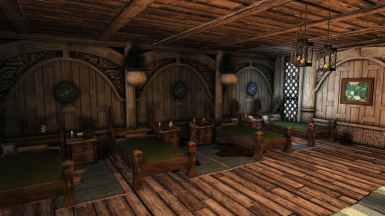 Has a few landscape lines but nothing worth me patching. 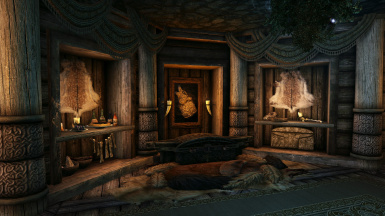 (Note that loading ElysiumEstate.esp before Whiterun Valley can cause crashes and major landscape issues). 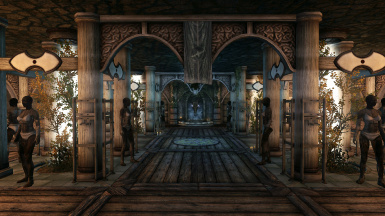 The Great Forest of Whiterun Hold SSE - Visit The Great Forest of Whiterun Hold Nexus page for information on load order when using with Elysium Estate. Open spoiler to view. This section is specifically for version 4.3.5. I do not recommend using older versions due to known bugs. 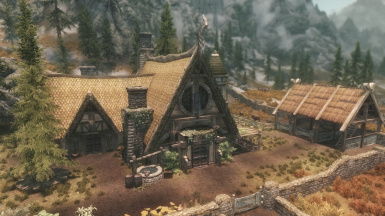 Located southwest of Whiterun, Elysium Estate is locked upon arrival. 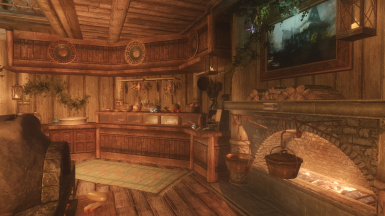 You must go to the garden (to the right of the front door) and harvest the key from the shrine. 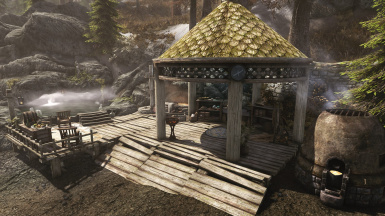 There are three entrances to the main house, one basement access behind the house and a separate guest house entrance near the hot springs. View all changes for each version in the 'Changes' log. If updating from 4.3.4 to 4.3.5, you do not have to remove all items and perform a clean save. If updating from versions before 4.3.4 to 4.3.5, you DO need to remove all items and perform a clean save (more info below in support). Labeled Storage for organization (all containers safe, no respawn). 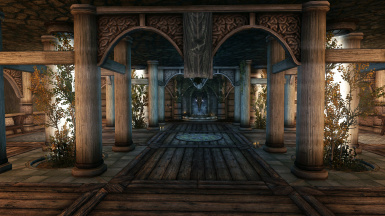 Interior zones are "NoResetZones". 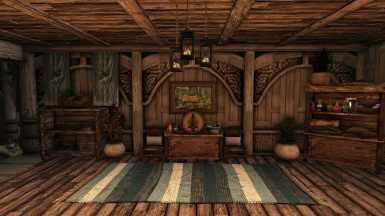 Navmeshed interior and exterior. 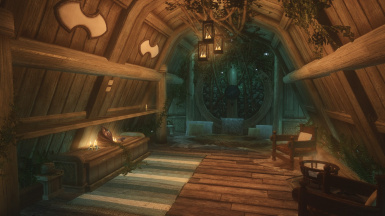 Because Elysium Estate does not offer automatic storage, I have created linked storage instead. If a container has "- Linked" on its label, it links to another container in the home or exterior of the same name. (Example: “Ingredients – Linked” can be accessed from any other labels that also say ‘Ingredients – Linked” elsewhere.) I have placed these strategically around the home for convenience. 2. 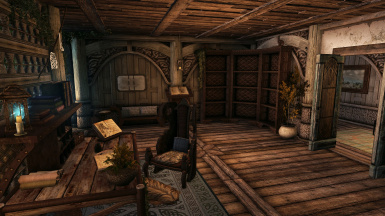 Extract all Elysium Estate files found in Data to your game's Data folder (or use a download manager such as MO or NMM). 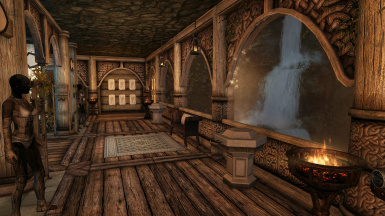 IF you want kids to live in this custom home, You MUST also download Hearthfire multiple adoptions. 2. 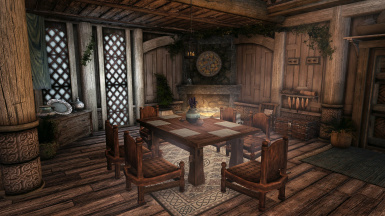 Go to the dining room of Elysium Estate and open the Elysium Estate Options book. Click "Followers/Kids" and enable the kids room. 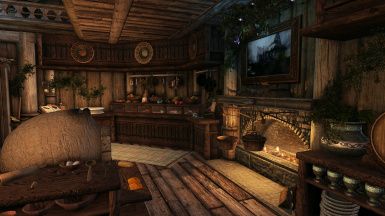 Then cast the spell "Bless This Home" from HMA. Only then will HMA allow you to move your kids in. Now go find your kids and ask them to move to your new home. You can also move your spouse in. 3. 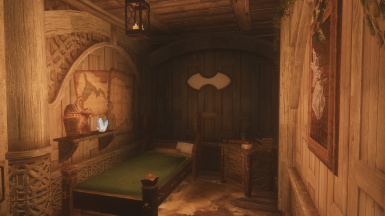 Disabling the kids room in Elysium Estate after you moved your kids in *could* cause bugs. 4. Custom Family Home has also been reported to work. 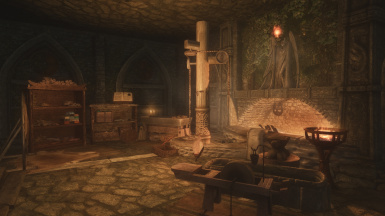 If updating from an older version of Elysium Estate in an existing game, you need to make a clean save. I do no guarantee the result of the below instructions. 1. 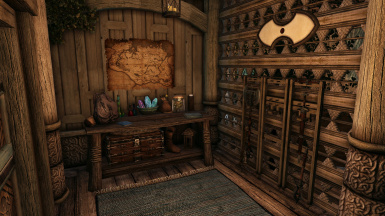 Remove ALL items from displays and storage in Elysium Estate. Remove followers and kids to another home temporarily. 2. Follow this easy guide...which should work: Guide 1. 3. Or follow this extensive guide if you want to go overkill: Guide 2. 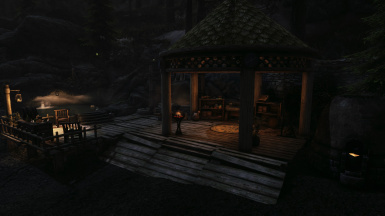 Thanks to my husband, who helped me test this mod and give me feedback! Thanks to my awesome followers and supporters on the Nexus! Open spoiler to view. This section is specifically for version 4.1.1. I do not support this version anymore. But many people still prefer it, so here is some information! Elysium Estate is locked upon arrival. 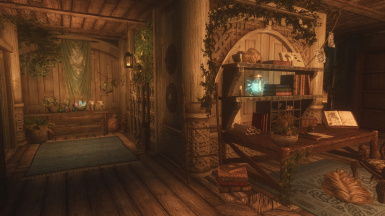 You must go to the garden (to the right of the front door) and harvest the key from the Kynareth shrine.There are three main entrances to the house, one basement access behind the house and a guest house entrance near the hot springs. 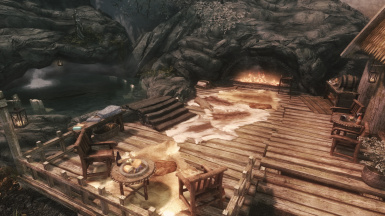 You MUST also download Hearthfire multiple adoptions for SSE if you want kids to move in. 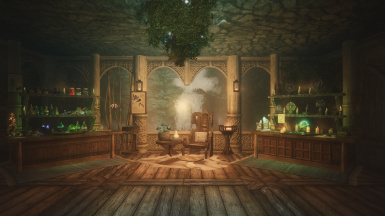 If you don't use this mod and cast the spell "Bless This Home" in Elysium Estate, you can't move your kids into Elysium Estate. Here's an example of proper load order. Without proper load order, you may experience bugs/missing items/landscape issues. 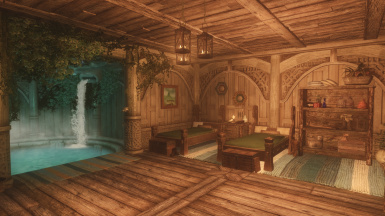 I also recommend keeping Elysium Estate (as with most player houses) near the bottom of your load order. Make sure load order is correct. 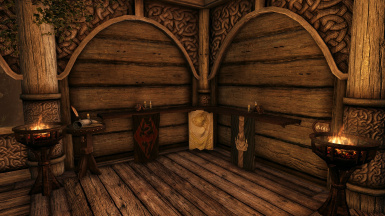 Mod Organizer, NMM, or LOOT may not sort properly. 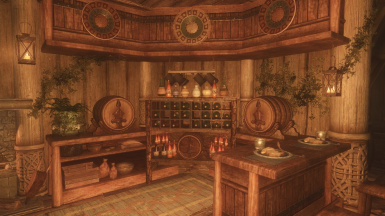 Refer to my Load Order examples if you aren't sure of proper load order (depending on which version of Elysium Estate you are using).